As you may remember, Shiner had a spa day last weekend. She was less than thrilled with the whole experience, but that's nothing new. She just doesn't like to take baths very much. However, I enjoyed our spa day because we got to use new grooming products made by Rockin' Paws. 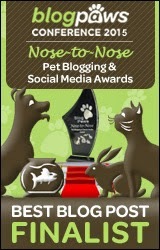 Well, today we are very excited to share a giveaway for a few Rockin' Paws products with our readers! (I know, your dogs probably hate me right now.) 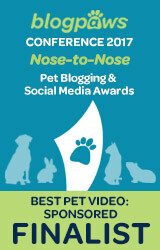 Did you miss our review of Rockin' Paws earlier this week? If so, just click here to read it. Rockin' Paws was created by a dog mom named Judy. She was looking for some time-saving styling products that worked for her two dogs, Monte and Pete. So she created a full line of dog grooming products - Rockin' Paws. To learn more about Rockin' Paws, you can visit their website here. So what can you win and how do you enter this giveaway? The prizes are one 16 oz. 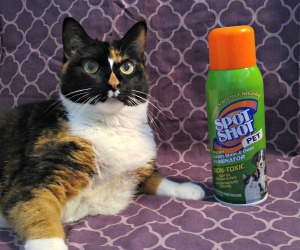 bottle of So Rockin' Fresh Shampoo and a 16 oz. bottle of So Smooth! Conditioner for dogs. 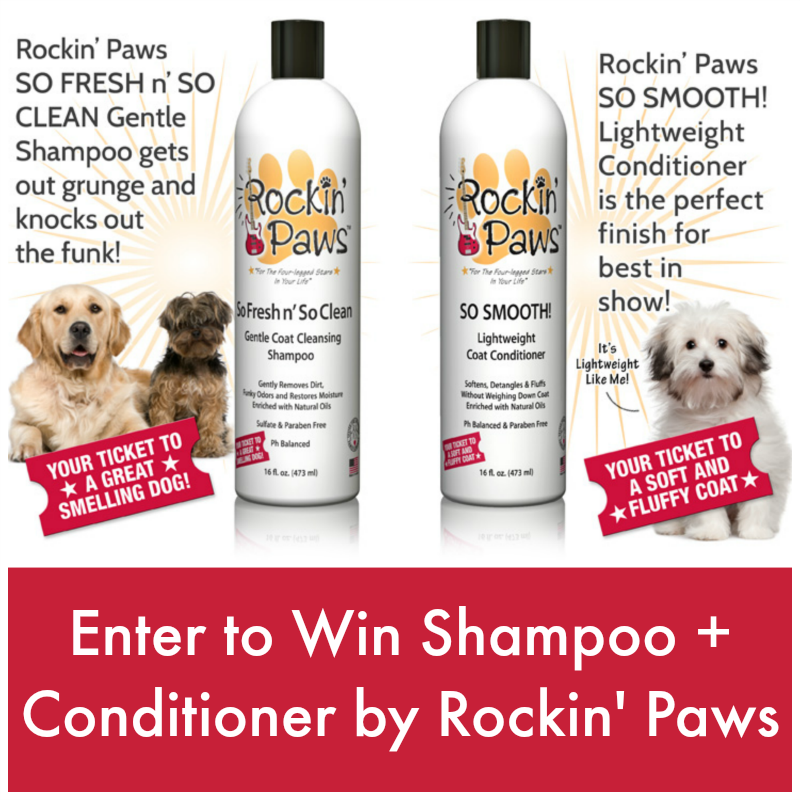 Your dog is going to be looking and smelling like a rockstar with this stuff! To enter the giveaway, simply fill out the Rafflecopter form below with as many entry methods as you like. They are not all mandatory to be entered, but the more you do the higher your chances of winning the prize. This giveaway is open to US residents only, ages 18+. The giveaway will end on August 27th at midnight CST. Good luck! This post is sponsored by Rockin' Paws. We received compensation for our time reviewing these products, but Pawsitively Pets only shares information we feel is relevant to our readers. Pawsitively Pets is not responsible for shipment of giveaway prize. Winner will be randomly selected and then contacted via email. Winner must reply within 48 hours, or the prize is forfeit and a new winner will be selected. Clean is always a good thing!!! I would like a spa day with my mom too (if there is no water included, of course) Good luck to all pups! Yep, we have found ourselves in the tub a lot lately and are not real happy about it, but could use some new shampoo and give some conditioner a try! What a fun giveaway. We aren't going to enter tho as no dogs live here. he he - I won't allow it. I would like to give my dogs a spa day! So instead they get home baths and brushing, plus dental treats. That sounds like fun Helga! Great giveaway, good luck to all who enters! My friend said to me this morning Bain actually has a smell! Since apparently to her he normally smells like cookies. We missed our usual spa day last weekend, so today is the day. He's always silky soft afterwards. Lol, well at least that's a good smell! I knew a dog once who ALWAYS smelled so good. Like baby powder. He was a 100+ lb golden retriever. Dexter HATES bathes so anything that can make bath time more puppy friendly is a bonus! Spencer has not had a spaw day yet! We adopted him about a week ago and are waiting for him to adjust. This prize pack would be perfect to make his furst bath the perfect experience! Our spa days usually mean the dogs, horses and mules line up and all get a good bath. Shampoo and conditioners and nail trims and then a good brushing. Then we clean all our brushes and other tools. Stalls cleaned with fresh bedding and the dogs beds washed and hung out in the sunshine. Then when everybody is turned out they all roll in the dirt!! Lol!! I would love to give our girl Ginger a spa day she would love it and she needs it. Spa day isn't a hit here either. Looks like a cool product that at least the humans would enjoy! We can relate, Shiner, we don't much like baths, either. Not even the kind the Mom does with the little kitty bath wipes, MOL! Itsy loves taking a bath. She even gives kisses during :) We first trim her nails and fur and afterwards clean her ears. She loves the attention and feeling clean too! Every day feels like a spa day with 5 dogs in the house. Someone always needs some tlc. We don't mind though, they are family! I just fostered and then adopted a sweet little cockapoo. Her silky fine coat was pretty matted from her time on the streets. Luckily Showtime Pet Grooming was able to work out the mats without having to shave her down. She's my sweet little moppet! I'd like to try these products to keep her looking fabulous! We have nine rescued dogs. Two to three dogs (depending on how long it takes my back to start hurting) get a spa day at a time. Some of them live to get in the tub and some hate it. I like be giving my babies spa days as they look and feel so much better (until a few of them go outside and roll in b the grass and dirt! LOL!)! I like be pampering my babies and always look for great products for them. Rockin' Paws line sounds wonderful and I love that you tried it in your own hair! :). Thank you! Mr. N does not like baths but he tolerates them. We usually bathe him in the sink. My dog has never been to a spa. But he loves baths -- he loves water of any kind. He is a lab, so he is easy to bathe and groom. We vacuum him off now and then and that's that! LOL. I wish that we could have a spa day together. Bathing my dog myself is not a fun experience. Her and I have not had a spa day yet; however, I do give her spa days at home each week when it is time for her bath. Spa days with my dogs involves getting them all bathed (five of them! ), bedding washed, then mommie gets a shower when they're all done! Olivia says Spa days are good if they involve a mud bath. She says I like running in the shower but I dont want to be in the tub. I like getting sweet smelling stuff sprayed on me. I love the hair dryer. blue was supposed have his bath about 2 days ago and he didnt want to so he didnt get one yet.,,lol. Shiloh always goes to the groomer, but Wager is small enough for me to bathe at home- he'd love a spa day!